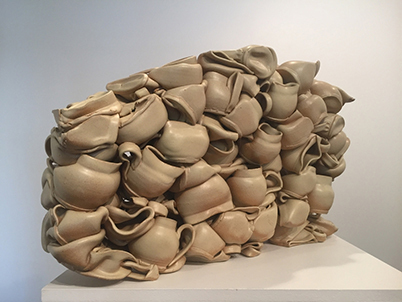 The McHenry County College art exhibition, NEW HIRES, features the work of new adjunct faculty at the Satellite Gallery, located in the Old Courthouse Arts Center, 101 N. Johnson Street Woodstock, from Nov. 1, 2018 through Jan. 20, 2019. An opening reception takes place from 5-7 p.m. on Nov. 1. The exhibition and opening reception are free and open to the public. For more information, contact Matt Irie, MCC art department chairperson, at (815) 455-8552 or send him an email at: mirie@mchenry.edu.